John Wallick Jewelers: Black Pearl Necklace. 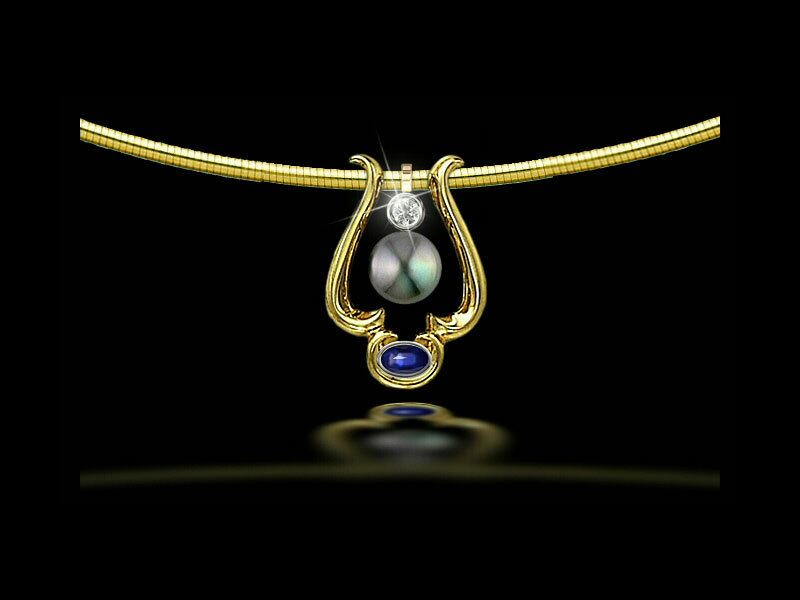 Tahitian black pearl with diamond and cabochon cut blue sapphire pendant in 14kt yellow gold. 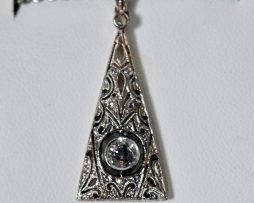 14K white gold, diamond pendant necklace. .25 CT European cut diamond. 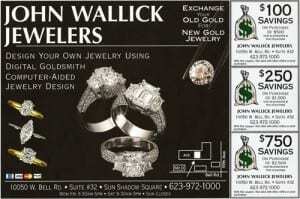 John Wallick Jewelers: Yellow Gold Diamond Pendant and Omega Chain Necklace. 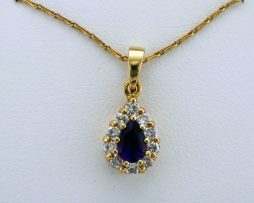 Lady’s 14kt yellow gold pendant containing 0.60 carats total weight in diamonds, H color and I-1 clarity. 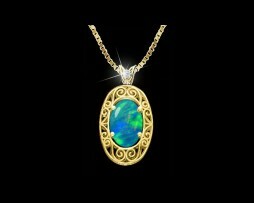 Pendant weighs 8.3 grams and is priced at $895.00. 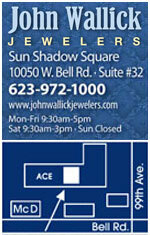 Pendant is suspended on an Omega chain, 1.5mm thick, 14kt yellow gold, 18” long and weighs 1.5 grams. 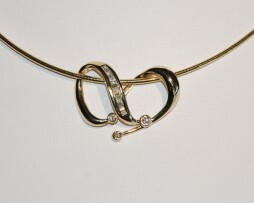 Omega chain is priced separately at $861.00.